Following the release of the Deputy Chairs of Mejlis of the Crimean Tatar people Chiygoz and Umerov, the information emerged in the Russian media that Putin allegedly pardoned the convicts Akhtem Chiygoz and Ilmi Umerov at the request of the "mufti of the Muslims of the Crimea" Emirali Ablaev, dubbed the spiritual leader of the Crimean Tatars by the occupiers. Commenting on the messages that the Deputy Chairs of the Mejlis of the Crimean Tatar people Akhtem Chiygoz and Ilmi Umerov were allegedly released after the appeal of the "mufti of Crimea" Emirali Ablaev to the President of the Russian Federation Vladimir Putin, the Head of the Mejlis of the Crimean Tatar people Refat Chubarov advised him to apply with the same request to the FSB of the Russian Federation regarding other Crimean political prisoners. Head of the Mejlis made a corresponding statement on the air of one of the Ukrainian TV channels. “The occupants keep 47 political prisoners in the Crimea. Let him go tomorrow to the FSB and write an appeal to the FSB on their release. If he does this, then I can say that they heed him,” Chubarov said. October 25 Deputy Chairmen of the Mejlis of the Crimean Tatar people Akhtem Chiygoz and Ilmi Umerov, previously convicted in the occupied Crimea, were transferred to Turkey. Chyigoz and Umerov were first brought to Simferopol, and then sent to Anapa by plane. The plane with representatives of Mejlis flew to Ankara at 13:37 local time. Later information appeared that they arrived in Turkey. 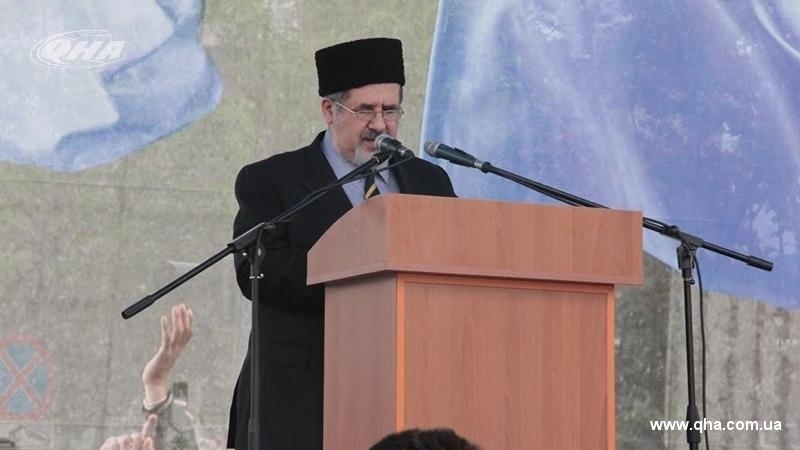 The Head of the Mejlis of the Crimean Tatar people, Refat Chubarov, said that Russia will go for correcting its criminal actions against Ukrainian political prisoners. The Head of the Mejlis of the Crimean Tatar people stated that all political prisoners would be released, as the first steps to correct the situation. President of Ukraine Petro Poroshenko thanked Turkish President Recep Tayyip Erdogan for his efforts in releasing Chiygoz and Umerov. Reference: The so-called Supreme Court of Crimea on September 11 fully supported the charge against the Deputy Chairman of the Mejlis of the Crimean Tatar people Ahtem Chiygoz, which was requested by the prosecutor's office providing for 8 years of imprisonment.